Saint Sundarar in his Thevaram hymn says that how he could praise a Lord other than Him gracing from Tirumettrali as He enters the heart sooner thought of as a light, sweet as honey and nectar. 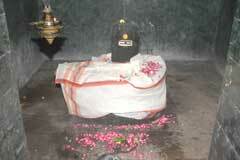 This is the 2nd Shiva Temple in Thondainadu region praised in Thevaram hymns. Maha Shivrathri in February-March; Panguni Uthiram in March-April; Skanda Sashti in October-November and Tirugnana Sambandar Gurupuja Ambica feeding the child with wisdom milk are the festivals celebrated in the temple. Lord Shiva as a swayambumurthy graces in the temple facing west. There are two presiding deities in two separate sanctum sanctorums. Sri Tirumettraleeswarar Temple, Pillayarpalayam-631 501, Kancheepuram. +91- 98653 - 55572, +91- 99945 - 85006. Devotees perform special abishek to Lord, offer vastras and nivedhanas. In the sanctum sanctorum of other presiding Lord Odhavurugeeswar, we can have the darshan of Lord Shiva and the feet of Lord Vishnu nearby simultaneously ensuring all prosperous life, according to belief. 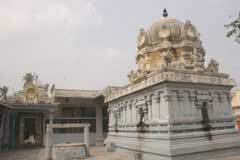 Saint Tirunavukkarasar praises Kancheepuram as a city of boundless education – Kalviyil Karai Illadha Kanchi Ma Nagar. Hence, worshipping Lord Shiva here the devotee is gifted with good education. 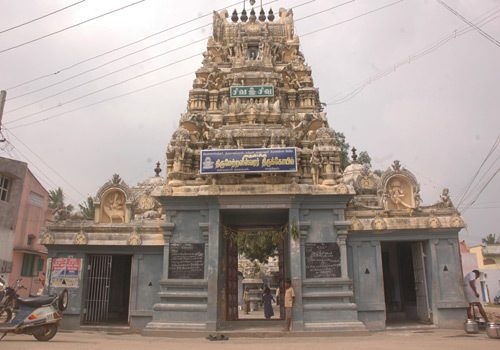 Though Tirumettraleeswar is the principal deity, the Rajagopuram and the main entrance belongs to Odha Urugeeswarar. The Pradosha puja is dedicated only to Nandhi the bull vehicle of Lord Odha Urugeeswarar. 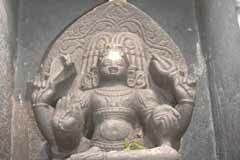 Muyalagan, symbol of Ignorance under Lord Dakshinamurthy is on the left of the Lord differently against the right side. 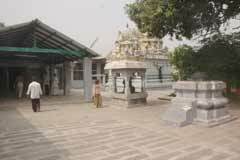 100 Rudras, Seekandar, Veerabadra, Krodhar and Mandalathipathis, all totaling 116, had worshipped Lord in this temple. 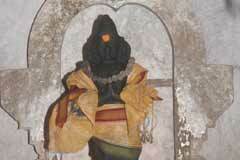 Saint Gnana Sambandar who sang in praise of the Lord from the end of the street has his shrine there itself. 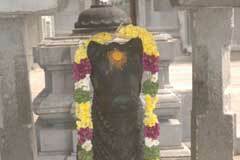 As the saint is also known as Aludaipillayar and Sambanda Pillayar, the place is also named Pillayar Palayam. The place also has a name Pachimalayam. 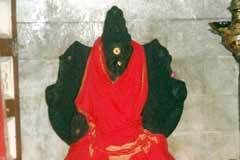 Saint Tirugnana Sambandar was visiting this place-Mettraliyur – the same time, saw Lord Vishnu standing in penance. The saint thought it was Lord Shiva as he was at the back. Saint began singing in praise of the Lord. Vishnu in penance was moved by the divine melody and began to melt. When He got the Linga form, His – Vishnu – feet remained. 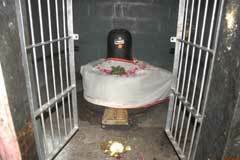 Now too we have the darshan of both Shiva Linga and Vishnu feet at the sanctum sanctorum. As Vishnu began to melt at the singing of the saint, the name came Odha-singing, Urugu-melting, Easwarar-God –Odhavurugeeswarar. 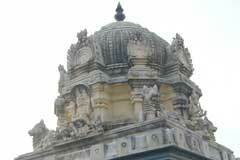 The temple is just a kilometer far from Kancheepuram bus stand. G R T: +91-44-2722 5250.